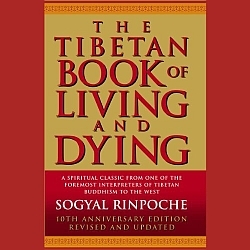 The author of the Tibetan Book of Living and Dying, Soygal Rinpoche, has been subject of abuse claims by his followers. An independent investigation confirms “physical, sexual, emotional abuse” by Sogyal Rinpoche. The report by law firm Lewis Silkin details multiple allegations of physical, sexual, emotional and psychological abuse, as well as accounts of “living a lavish, gluttonous and sybaritic lifestyle,” and “tainting the appreciation of the Dharma.